Offered as a console table or as a chest of drawers, the Gilded Series elevates its 15th century influences with even more splendor viagold leaf appliqué on the front panels of each piece. 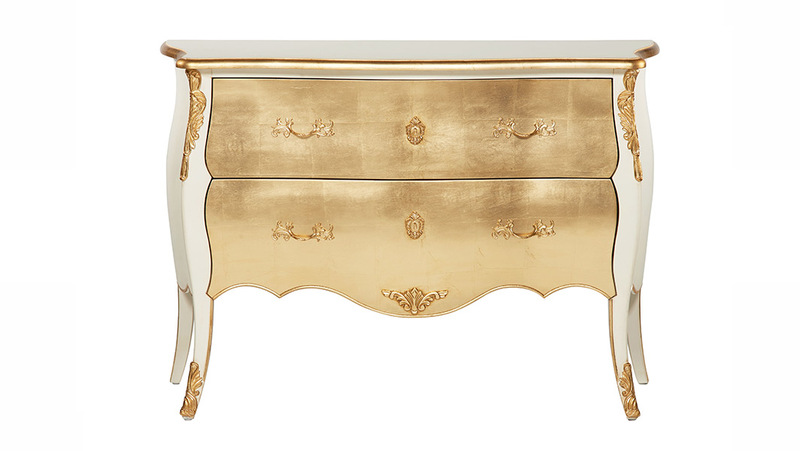 Gilded drawer pulls and hand-carved accents complete the resplendent design. The console table measures 3 4″ W x 18″ D x 54″ H while the Chest of Drawers measures 51″ W x 20.5″ D x 36″ H.